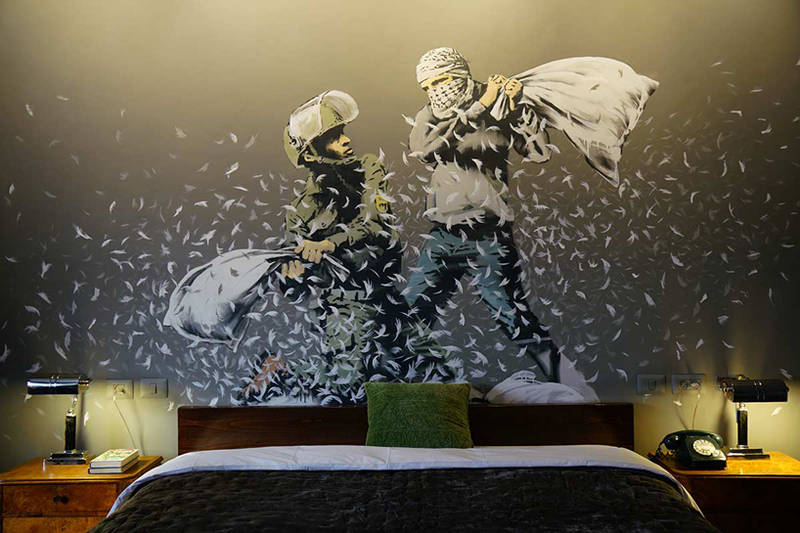 Visitors to the walled off hotel find themselves sleeping inside a work of art, with customized guest rooms outfitted with pieces by banksy, palestinian artist sami musa and montreal-based artist dominique petrin, with more to follow. ‘scenic rooms’ ‘boast floor to ceiling views of graffiti-strewn concrete from almost every room. and for the exhibitionists amongst you — many are within range of the army watchtower,‘ the hotel website discloses.